Our campaign on Decent Work and Living Wage calls for all workers to receive a wage that allows them to meet their basic needs including food, shelter, clothing, healthcare, savings and minimal recreation for workers and their families. 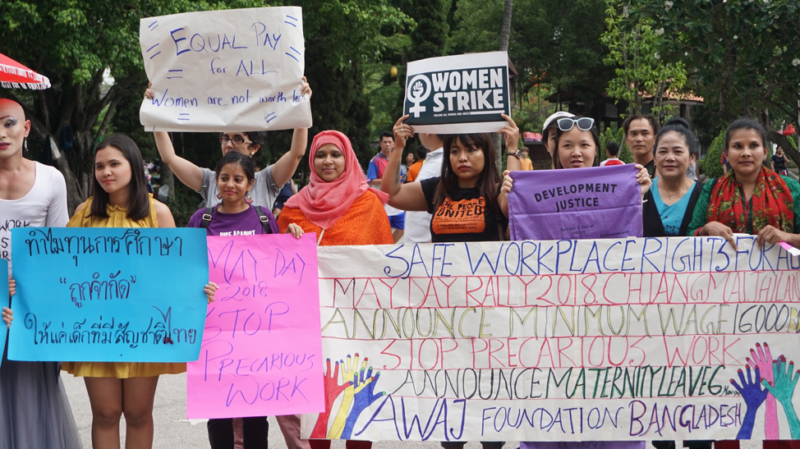 The campaign highlights the plight of the most precarious workers in Asia Pacific, particularly women domestic workers, garment factory workers, migrant workers and those in informal sectors who work for what are essentially starvation wages. We are working with labor movements in the region to advocate for universal calculations for living wage and decent work that can guarantee workers life with dignity. 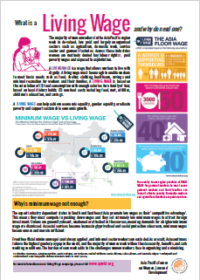 What is Living Wage And Why Do We Need It?